This audio-based home study course provides you with an easy-to-use format of recorded phone interviews with respected experts in the field providing valuable information and insight to the radon industry. 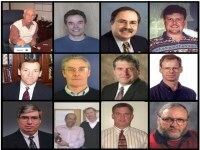 A unique and interesting course with interviews from various experts within the radon industry, ranging from physics to measurement devices to aspects of working with real estate professionals. There is approximately 4 hours of coursework, including audio, publications, and online quizzes that are taken as you progress through the course (not timed and may be taken unlimited times). There is no time limit for taking the course, and even after completion you continue to have access to the course in order to refer back to resources. William Field, PhD - Univ of Iowa - "Health Effects of Radon"
Steve Gladstone - Stonehollow, Inc. - "Radon and the Home Inspector"
Ralph Holmen - National Association of Realtors - "Real Estate Testing"
Phillip Jenkins, PhD, CHP - Bowser-Morner, Inc. - "QA/QC"
Jerry D Lowry, PhD - Lowry Environmental Engineering - "Radon in Water"
Richard Manning - Femto-Tech, Inc. - "Continuous Radon Monitors"
Leo Moorman, PhD - HMM, Inc. - "Physics"
Shawn Price - Air Chek, Inc. - "Activated Charcoal Devices"
Paul Kottrapa, PhD / Rick Stieff - RadElec, Inc. - "Electret Ion Chambers"
Mark Salasky - Landauer, Inc. - "Alpha Track Detectors"
Dan Steck, PhD - St. John's University - "Variability of Radon in Homes"
Ian Thomson - Thomson Nielson - "Measuring Radon Decay Products"
Ashley said: Very interesting. Wide variety of professions with direct ties to radon and radon measurement. Kristofer said: Very good information, thank you! Tom said: Great hearing from individual experts in their fields. Having photographic images of various devices would be very helpful. John said: Good course, very informative. Evenor said: Excellent review course. Up to date information. Tim said: This was a great booster shot of knowledge! George said: Great refresher material. Kara said: i think the quiz questions were a little too tricky without having the option of going back to the recording to review. Margaret said: Very informative. The course was helpful in earning CEUs. Jacob said: Great coarse! Thanks for the additional info regarding radon. Gary said: Thot course was well worth the time and effort. A little dry in some areas overall a good review . Robert said: Denise and Doug are always very helpful to me whenever I have questions of any type regarding radon testing or mitigation. Thanks to them. William said: I personally found the interviews highly informative. Mark said: Very excellent information was provided. Dennis said: very good course.